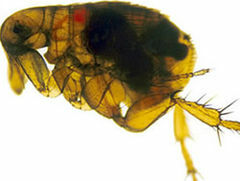 Navajo County Public Health officials released a statement on Friday confirming that fleas in the region have tested positive for the Bubonic Plague, a disease that killed over 100 million people during the 14th century. 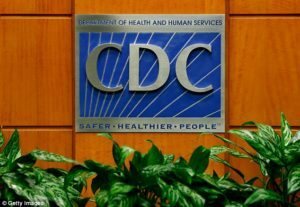 This follows similar reports that were released by Coconino County Public Health Services officials earlier this summer. “Navajo County Health Department is urging the public to take precautions to reduce their risk of exposure to this serious disease, which can be present in fleas, rodents, rabbits, and predators that feed upon these animals. Experts urge those in the area to take steps to reduce their risk of exposure to the deadly disease by avoiding contact with sick or dead animals that they may come across, avoiding getting too close to any rodent burrows they find and keeping their pets indoors rather than allowing them to roam. 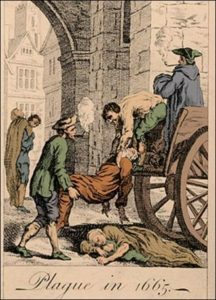 Otherwise known as the ‘Black Death,’ the Bubonic plague outbreak in the 14th century was responsible for the deaths of approximately a third of the European population. After the disease first arrived in 1347 it continued to return regularly throughout Europe until approximately the 18th century. Modern medicine has allowed us to eliminate nearly all cases of the disease in the developed world, with 90% of the cases now reported occurring in Africa. This disease is highly deadly if left untreated, killing up to 2/3 of those who contract it within only 4 days. If the sufferer is able to obtain proper medical attention, being provided with the necessary antibiotics within 24 hours of infection, their odds of complete recovery are incredibly high. If these symptoms go unnoticed the disease is then able to spread to other areas of the body at a relatively rapid pace. If you are experiencing the above symptoms it is important that speak with a medical professional immediately!